A professor of pediatrics at John Hopkins Hospital in Baltimore, Maryland back in the late 1950s, Dr. Robert E. Cooke worked with Presidents John F. Kennedy and Lyndon B. Johnson to create the Head Start programs and other major initiatives for children. His involvement the Head Start programs came after he began working with Eunice Kennedy Shriver and her husband Sargent Shriver, after they discovered their mutual interest in helping children with disabilities. Dr. Cooke, who was also a father of two children with a chromosomal defect, began working as an adviser to the Shrivers and the Joseph P. Kennedy Jr. Foundation. This foundation was created as a family memorial to the oldest Kennedy son, Eunice’s brother, who was killed in WWI. The focus of the foundation was to find ways to improve the lives of children and adults who were born with mental defects. When John F. Kennedy was elected President, Dr. Cooke joined a task force on Social Security and healthcare, which later became Medicare, through the direction of Wilbur J. Cohen, who headed the Kennedy team. The work that was done in this group was the start of what would become a wide range of various social services, which later became the National Institute of Child Health and Human Development. It was all very grass roots, but it kept its focus on social service programs, including early childhood education. 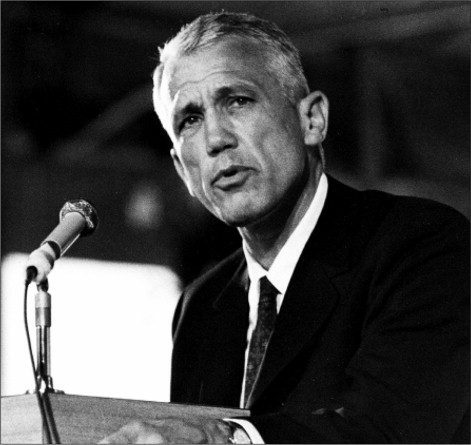 By 1964, after President Johnson began the so-called “war on poverty,” Dr. Cooke was once again asked to head a committee. This time, his involvement led to the launch of Head Start programs, which were to be a comprehensive early childhood education and development program that would include health, nutrition, education and parental education. Since it launched officially in 1965, Head Start programs have served more than 31 million children, with most of them being from low-income families. Dr. Robert Edmond Cooke was born on November 13, 1920 in Attleboro, Massachusetts. The son of an insurance executive, he graduated from Sheffield Scientific School, which was then a part of Yale, which he followed up with a medical degree from Yale in 1944. Toward the end of WWII, Dr. Cooke served as an Army doctor who determined the fitness level of inductees. He completed his residency at what is now Yale-New Haven Hospital in the early 1950s. He taught at Johns Hopkins for 17 years and also taught at Yale, the Medical College of Pennsylvania, the University of Wisconsin and the State University of New York, which is known today as the University at Buffalo. It was there that he became the chairman of the pediatrics department. Dr. Cooke served for many years as a medical adviser and board member of the Special Olympics. He passed away on February 2, 2014 in his home on Martha’s Vineyard in Oak Bluffs, Massachusetts at the age of 93. Thousands of children and families rely on Head Start programs today in what, for many, is their only opportunity to access early childhood education. However, thanks to recent federal budget cuts and a discouraging year of sequestration, many Head Start programs have had to reduce the number of spots available for children and families in-need. Staffing cuts, program reductions and even closures of some Head Start programs locations, were all as a direct result of the recent battles with lawmakers in Washington, D.C., which resulted in federal budget cuts. Today’s administrators of Head Start programs must be ready to look carefully at their budgets and find new ways to save money on office supplies, janitorial supplies, classroom supplies and the food that is used in the nutritional program, just to remain open. It is sad to see a program that Dr. Cooke once touted as “the most successful social experiment of the 20th century,” be pushed aside by lawmakers and not deemed to be as important as other social programs. Administrators of Head Start programs and other early childhood education services can work with the free services and tools available through SupplySource to help reduce their annual budget and save money on office supplies. This free program starts with a complete cost analysis and evaluation of your spending and ordering habits, helping you to streamline the process, order more items in bulk and better manage your supply chain. SupplySource connects administrators of early childhood education programs with a network of pre-vetted suppliers who will give you the best prices and excellent customer service to help you keep your Head Start programs open and thriving. Call SupplySource today to find out how you can overcome the next series of federal budget cuts, sequestration or whatever else comes out of our nation’s capitol. Learn how to save money on office supplies, food supplies and better manage your entire purchasing operation. Give SupplySource a call at 1-866-248-4520 or use the online form to request additional information about this FREE program for administrators of Head Start programs and other human service organizations.